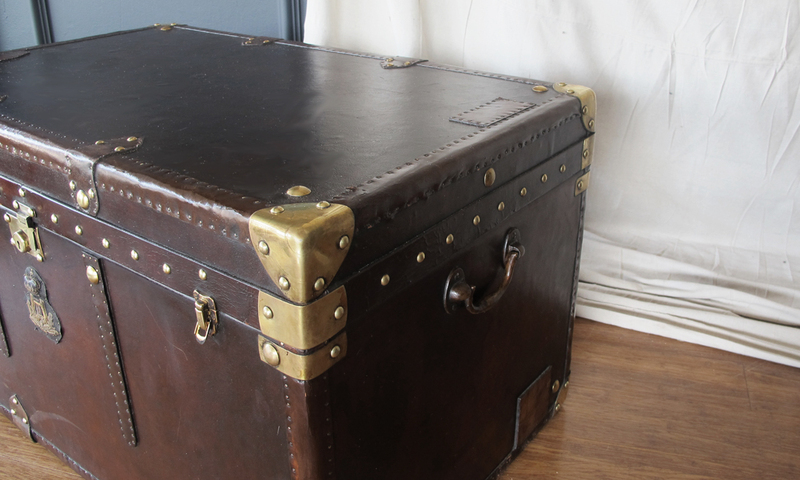 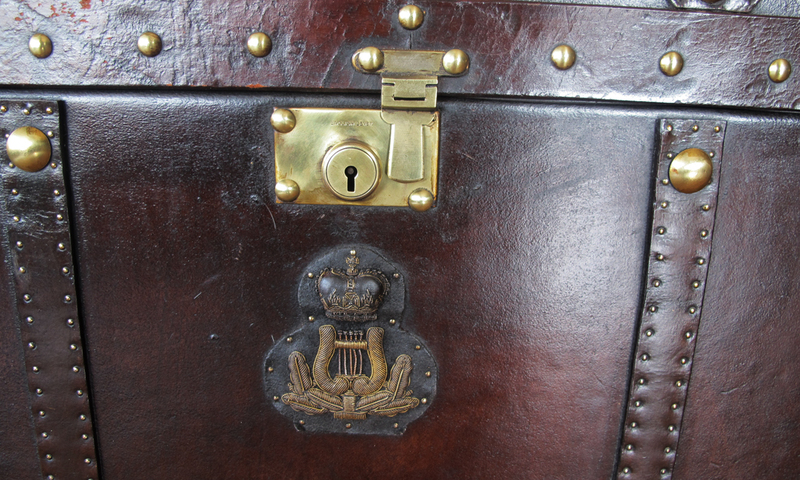 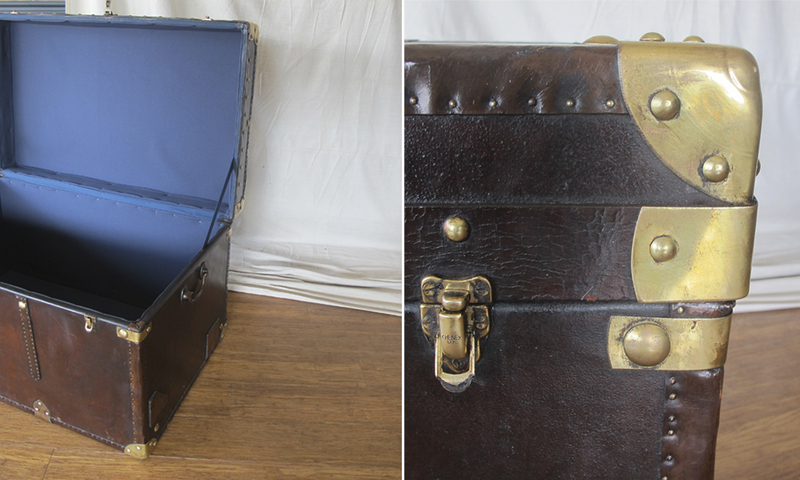 Originally used by a high ranking officer in the British Army as a travelling trunk for his personal belongings, this superb quality leather trunk dates to the reign of George V (1920-36) In fantastic condition and restored to near perfection, re-lined with cotton drill fabric. 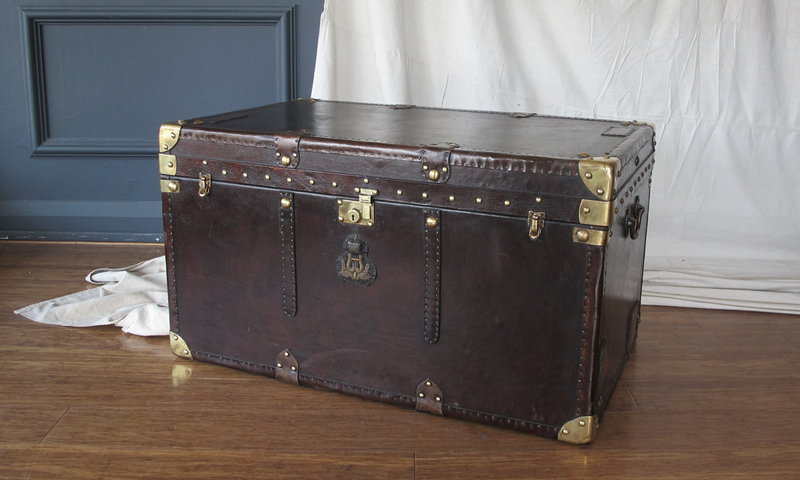 Re- purpose as a coffee table or bed-end. 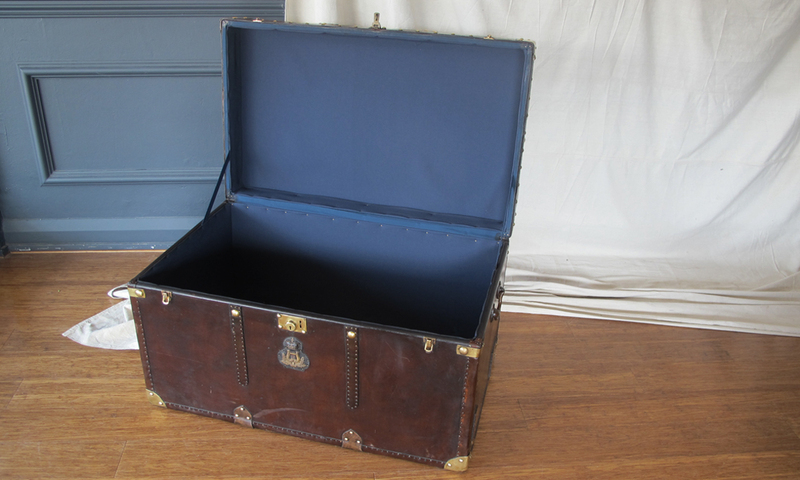 Superb storage.